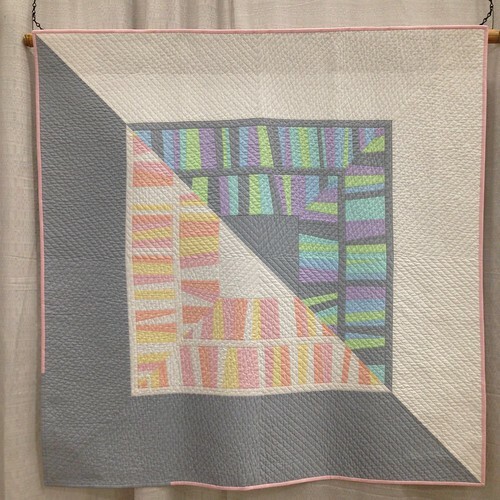 The Modern Quilt Guild, with sponsors Michael Miller Fabrics, issued a quilting challenge for QuiltCon2015. 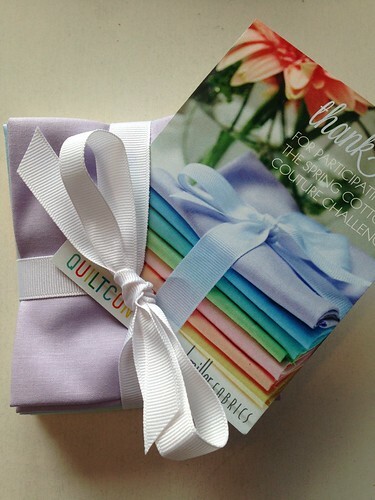 Interested MQG members received a F8 pack of Cotton Couture Spring pastel solids to work with. The rules stated you had to use ONLY Cotton Couture solids on the front of your quilt and the pastels had to be used in a recognizable amount. 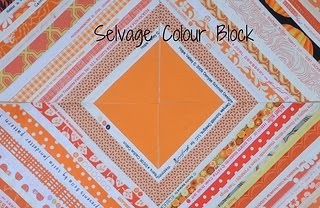 Any Michael Miller fabric could be used on the back of the quilt. 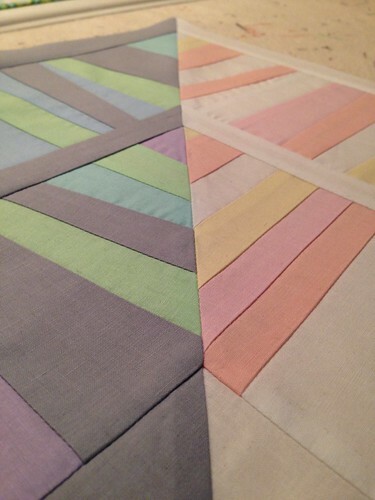 I rarely use pastel fabrics, let alone pastel solids! This was a real challenge. I decided to play with my Improv Under the Influence piecing technique to create wonky border units similar to the ones I used here and here. I also chose to limit myself to the fabrics in the F8 pack and only add grey. After making some sketches in my notebook, I divided the pastels into warm and cool colours and set to work with the piecing. It had been quite a while since I made mitred corners and this quilt has 16 of them (four in each corner). Getting a mitre just right is incredibly satisfying and I think the juxtaposition of the wonky strips with the very precise mitres adds interest to this design by creating sharp edges between the warm/cool borders. The Cotton Couture solids have a very fine hand, the lightest colours are rather transparent and the fabric doesn't have a lot of body. For this reason I spray and pin-basted the quilt before I set to quilting the entire thing in a chevron pattern with straight lines 3/8" apart. I spent an entire guild sew day quilting for about 8 hours. I happily took the quilt off the machine and my heart sank. It was warped. It was SO warped. It was SO WARPED, I knew I wouldn't be able to block it flat no matter how much steam I applied. In the middle of each side of the quilt, there was a 2 or 3" lump. Yikes. I lay awake all night rather unhappy with myself. I felt compelled to enter this quilt in the show since I had accepted the fabric. I was proud of this very modern, original design that I felt expressed my interpretation of the light at the beginning and ending of a clear May day in Vancouver. I knew I could not be proud of this quilt in it's current state. So I ripped out all the quilting. It took an entire day. By 10:00 p.m., even B had a seam ripper in his hands and was helping me. Despite all of the blocking advice and encouragement I received on Instagram, I knew it could not be saved in it's current state. Doing things right is worth the effort sometimes. Ultimately the quilt lost quite a bit of the outermost borders (thank goodness I'd attached a full 10" in the first place!) due to my first attempts at squaring up prior to ripping all the quilting out. I peeled the quilt off the batting. I steamed it, then fused a lightweight woven interfacing to the entire back of the quilt top to give it extra body and stability. I cut a fresh piece of batting, spray and pin-basted and stabilized all of the border seams with stitch in the ditch. 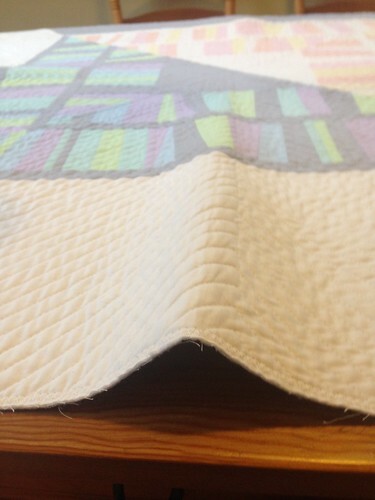 I repeated the same quilting pattern and sewed more slowly and with extra care not to stretch out the quilt. It still warped, but only about a third as much as the first time. I was able to block it flat by pinning it to a carpeted floor, soaking it with water spray bottle and steaming flat. Phew. You can still see where the quilting pulled the borders out in the middle of each side, giving them a curved appearance. Actually, I love the quilt and I'm really happy I took the time to create a better finished piece. I was thrilled when it was juried into QuiltCon2015. Once it was all over for the second time, I spent a lot of time putting a Juki straight stitch machine in and out of my Amazon.com cart. I just don't think the skinny little built in IDT on my Pfaff QE 4.0 is big enough to match the power of the 5 feed dogs on that machine and create good results for straight line quilting on larger projects. Le sigh. 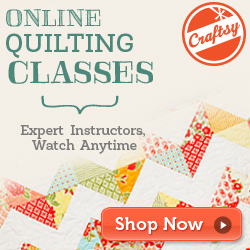 Don't you just love how the learning never stops with quilting? Wow Krista that's dedication to a quilt!!! Your hard work and refusal to accept less than your vision has resulted in an incredibly beautiful quilt. 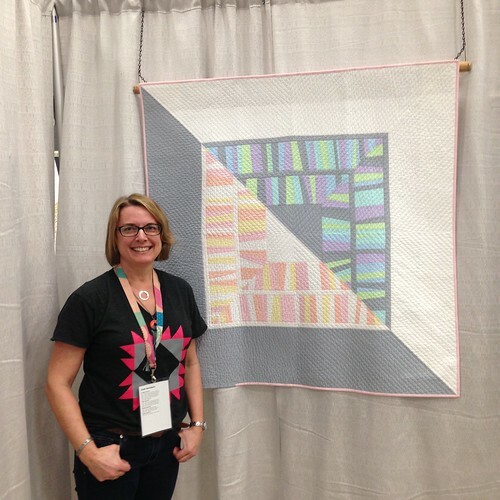 I love the picture of you beside your quilt hanging at QuiltCon! Such a happy smile. While reading your post I vaguely remember you posting a little about this on instagram but don't recall seeing the completed quilt. 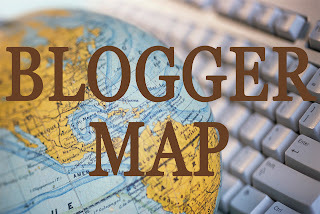 I am so glad you shared your quilt story here again. Your quilt is fantastic! I'm not much into pastels either but the design and colours work quite nicely. Congratulations on the workmanship and having it juried into QuiltCon 2015. This is a beautiful quilt, and you sure went the distance to make it exactly as you planned it. I just love it! What a wonderful quilt and what a great story behind it. The end result is defintiely worth all the effort that went into creating it. Wow, what a lot of work. I could never have ripped out all the quilting! But the quilt is beautiful, and the story behind it it lovely. Love the story about the morning light and your garden and how it helped you create this quilt. Such inspiration! Plus, your willingness to have your quilt turn out just like you want it too ~ I'm impressed that you took out all the quilting and did it all over again! Here in Portland at around 4 starting in Spring, there's this golden hour with the light that I've never experienced before. I live across the street from a very old cemetery with lots of trees and everything takes on this amazing hue. I'm going to have to interpret it some time like you've done here. Oh wow such perseverance! I'd have resigned, and chopped it up into sew together bags or something :S Glad you didn't. This quilt is a real gem and I love the story behind the inspiration. We all felt your anguish when it didn't lie flat. Sticking to your vision was totally worth the pain of ripping out and redoing. A beautiful reminder of May mornings. This is so, so, so beautiful. And it's so nice to hear that you sometimes don't get it right the first time. This gives me hope! I totes thought you were perfect. True story! Oh my!! I love this quilt...and your quilting makes it sing! 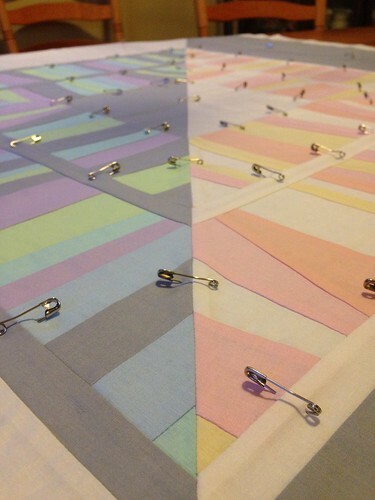 I can't believe you unpicked the first round of quilting...NOW that is dedication! Good for YOU!! Such a wonderful story behind the quilt. I was rather shocked at the pastel challenge fabric. So not modern feeling to me but there were some beautiful quilts made with it and yours was one of my favorites. compliments for your quilt and also for your telling us the time you spend with Marston. 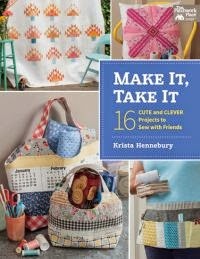 I love her quilting and her books. Unfortunately the 37 sketches cannot be bought in Germany and she`ll never taught quilting in Germany.